I hope you've had your breakfast wherever you are because we are going to talk about coffee and crumb cake today. I used to make my nephew the most delicious coffee cake with corn flakes and cinnamon on the top. We all remember how yummy it was, but I've lost the recipe over the years. I made a card to play in three favorite challenges. And then I made two more cards just to show off. What?! Yup. I love the colors and the sketch and after I made my original card, I realized that I simply had to make at least one more card using my cups and coffee bean stamps. I mean, duh! The colors are from the dynamic ladies at Dynamic Duos and this week the challenge is monochrome attic. The colors are Early Espresso and Crumb Cake. 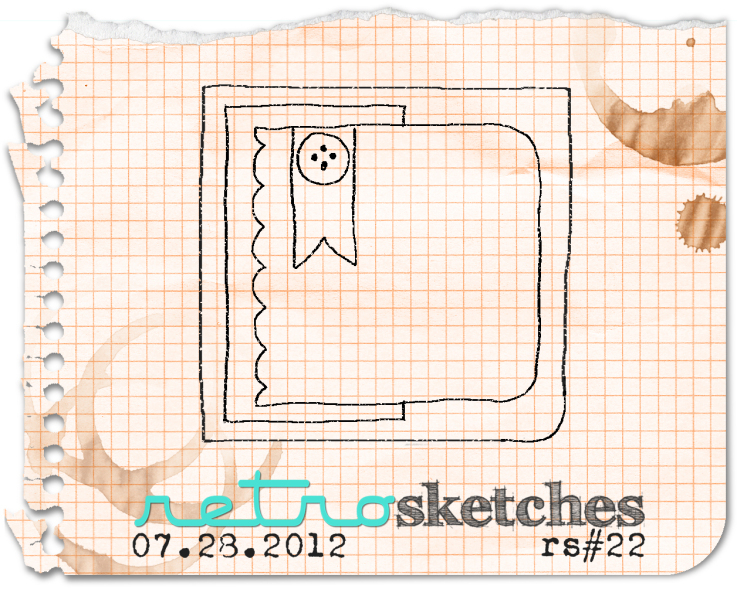 And speaking of fun, I'm playing with the always fabulous Retrosketches. The ONLY reason there are not coffee stains on my cup cards is because I didn't think of it until after I had emptied the coffee pot. I hope someone does that! And because I was able to use paper and ribbon from my Paper Mountain and Ribbon Valley, I am also linking up with the crazy band of delinquent girls over at Pixie's Crafty Workshop, where this week it's Snippets challenge number 31. Shirley, you can join in 'cause you've also used snippets on your card, right? Way to go, ladies! So here are my cards. First, the non-coffee card. I have no idea from whence I got that fantastic feather charm, but I've been dying to use it on a card. 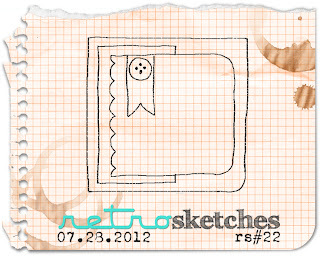 I wish I had a stamp with an old-fashioned ink well, large enough to balance that charm. Wouldn't that make a perfectable card?! From a distance, those coffee beans look like Oreo cookies or ice cream sand witches. Anyone super hungry yet?? Can't you picture that unique and beautiful striped button coming from a 1952 designer coat? That really was fun. Hope you join in! I leave you with a happy fuschia flower. Enjoy your day! As always, thank you for stopping by to visit. Special thanks to you if you take the time to join as a follower or leave a comment! Wow Darnell, two fantastic cards! Those feathers are fantastic! That feather charm is so charming...for a lack of a better word! LOL! Love it! Love both of these, Darnell, and the little unique touches you added to each, especially that striped button! Just fabulous! Mmmm yummy card in yummy colours! 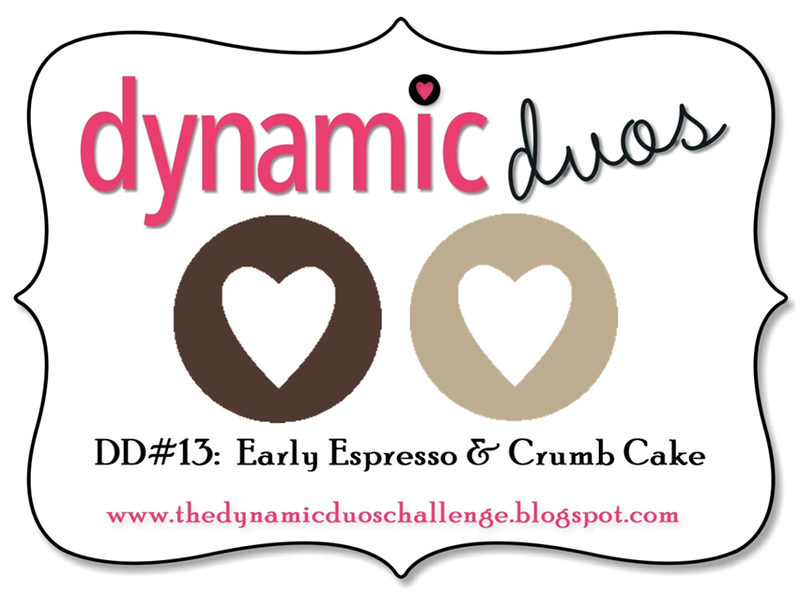 I'm not hungry because I've been making my DD entry this evening but I'm not posting it until Thursday, so make sure you stock up on Crumb Cake snacks until then! That is a gorgeous feather charm, and a wonderful button with the stripe! I love all the embossing on your cards, and good for you for making three! Love that feather charm and gorgeous designer button. The perfect embellishment on each card. Fantastic embossing; goes great with that color combination. Love the pix of the beautiful flower. You got the coffee I got the banana muffins. Shall we share nice? Those cards are super. Loving those stamps. Thanks for your visit earlier from Catriona! Such fabulous cards Darnell - the button and the feather charm are just perfect - clever you and so beautifully used. You can be on Prefect duty in the playground in recognition of your recognition that there are a few delinquents :) I might be a bit busy this week gearing up for a trip to Peppa Pig Land and need some extra eyes to watch out by the duck pond for would be Olympic divers and swimmers, snort, snort! You are SUCH a show-off (and I am so glad you are cuz I love them all!). By the time I read all about corn flake coffee cake and Oreo coffee beans - I'm hungry and don't have time to craft! So glad to see you at Dynamic Duos! Just came home from a shopping trip to America. We were in Fred Meyer and hubby asks what do i need to put in the cart to make bran muffins like i used to make when the kids were small. The batter suposedly kept in the fridge...for a month! So you could do a different type each week. What an awesome line up of cards. 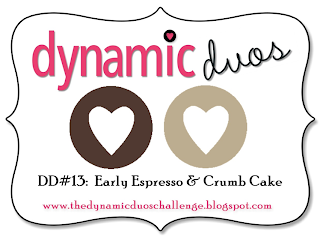 Thanks for being inspired by the neutral colour palette at Dynamic Duos. I love the button and they way you've lined up the stripe and the ribbon! Oh wow Darnell - yummy, scrumy, gorgeous....... what more can I say? That feather charm is amazing ... so unique - I've never seen anything like it. It's definitely very special and you've made a lovely card to show it off. Love the coffee cards too. Great job with the color challenge and sketch challenge! That feather is fantastic and the feather in the sentiment is perfect finishing touch ~ All three are lovely! An inkwell would be great under that feather charm, but not necessary! Love the coffee services too. What I wouldn't give for an Oreo right now.